Many new drug therapies that patients in most European countries receive may remain inaccessible to Bulgarian patients in 2018, the Association of the Research-Based Pharmaceutical Manufacturers in Bulgaria (ARPharM) warned. The reason is a moratorium on their payment by the National Health Insurance Fund in 2018 approved by the Supervisory Board of the NHIF and submitted for consideration by the Parliament. It appears that due to this sanction the widely proclaimed increase of healthcare funds by 400 million BGN will not lead to improvement in the drug treatment of Bulgarian patients. Some of the new therapies are life-saving, offering more treatment options, and in some cases they may even be more cost-efficient for NHIF. Deputy Prime Minister and Health Minister Dr. Ilko Semerdzhiev, Chairman of the Board of the Association of Research-based Pharmaceutical Manufacturers in Bulgaria (ARPharM) Zoya Paunova and director of ARPharM Deyan Denev have signed a memorandum of cooperation and partnership. Ministry of Health and the ARPharM will cooperate to ensure access to high quality and effective medicines for Bulgarian citizens. The document provides for the implementation of control and joint inspections by the BDA, National Health Insurance Fund, the National Revenue Agency and the Customs Agency. There will be checked persons trading with medicines in the country and through its borders. It will be monitored the availability of marketing authorizations for medicinal products with compliance to the good distribution practice and the rules for prescribing and selling drugs. Federation Bulgaria Patients' Forum for the fifth consecutive year organized the awarding of "Daniela Seizova - in the name of life" prizes. Awards have been established at the initiative of the late Theodora Zaharieva in memory of Daniela Seizova - health journalist with outstanding service in promoting the problems of cancer patients and patients in general, both failed the battle with cancer. Association of Research-based Pharmaceutical Manufacturers in Bulgaria and its member companies traditionally provide the financial support for these awards. Very touching moment in awards for 2013 was the prize "Brave Heart," awarded by the mayor of Sofia, Mrs. Yordanka Fandakova. This is a reward for children and teenagers asserted their rights, and the winner was 11-year-old Nelina Nikolova from Gorna Oriahovica for her courage to declare their disease and confront public opinion that psoriasis is contagious. 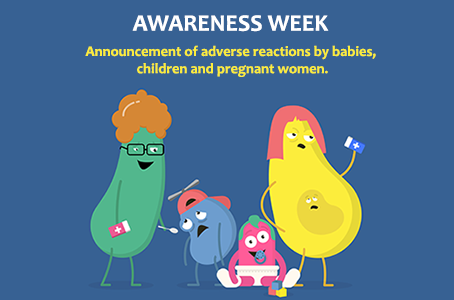 Make your use of medicines safer: report suspected adverse reactions in children and during pregnancy. 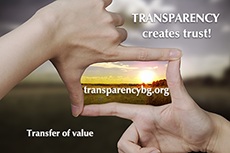 For the second year, the Bulgarian Drugs Agency (BDA) launched an online campaign to promote the importance of reporting suspected adverse drug reactions. The campaign, to be held from 19-23 November 2018, is part of an "awareness week" involving 32 EU, Latin American, Australian, New Zealand and Middle East medicines regulators. Regulatory bodies will jointly focus on enhancing the reporting of suspected adverse reactions in infants and children as well as during pregnancy and lactation. We were born to end patients’ suffering. To extend life and improve its quality. That’s why in the 70s, when infectious diseases passed from person to person, we didn’t rest. In the 80s, when a needle and syringe was the only option for insulin injection, we didn’t rest. In the 90s, when contracting HIV was a death sentence, we didn’t rest. In the 2000s, when killing cancer cells damaged healthy cells too, we didn’t rest. 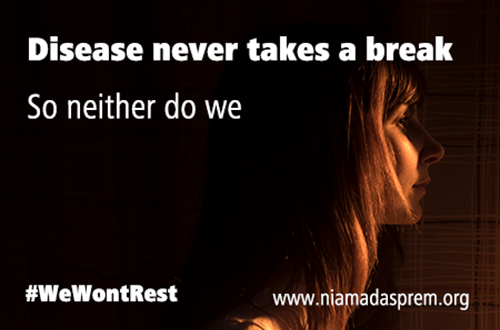 And right now, after decades of tireless medical innovation, we still won’t rest.